It's my favorite time of the year and I am excited to share more quick and easy tips in collaboration with Whole Foods Market 365. Growing up, I shopped at the original Whole Foods Market and it has been incredible to watch my local health food store evolve from humble roots to leading the way in offering high-quality food, standards, and service at an accessible price. 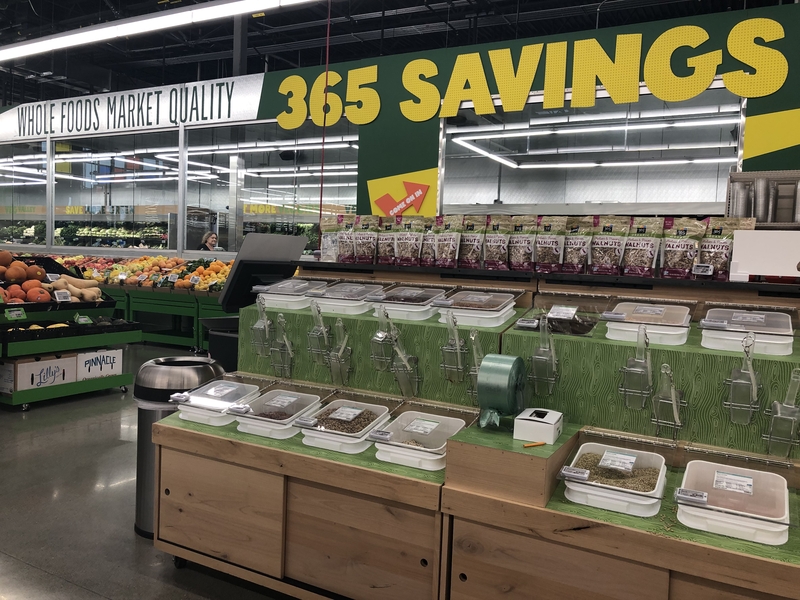 With streamlined stores offering a more simplified shopping experience and additional savings for Amazon Prime members, Whole Foods Market 365 makes healthy living easy. I am all about convenience anytime of year so I thought I'd share some of the ways that I save time and money while staying healthy and enjoying the holiday season. Because Whole Foods Market 365 is a smaller store with a more curated experience, it's easier to get in and out with what you need. I was recently in Portland and met a long-time “insta-friend” in real life. She hosted a Friendsgiving dinner and introduced me to her community of strong and supportive women. I introduced her to Whole Foods 365 Lake Oswego, where we were in and out in 10 minutes and picked up their grab n' go cheese board, simple mills crackers, marinara sauce for meatballs, and 365 holiday s'mores chocolate bark. 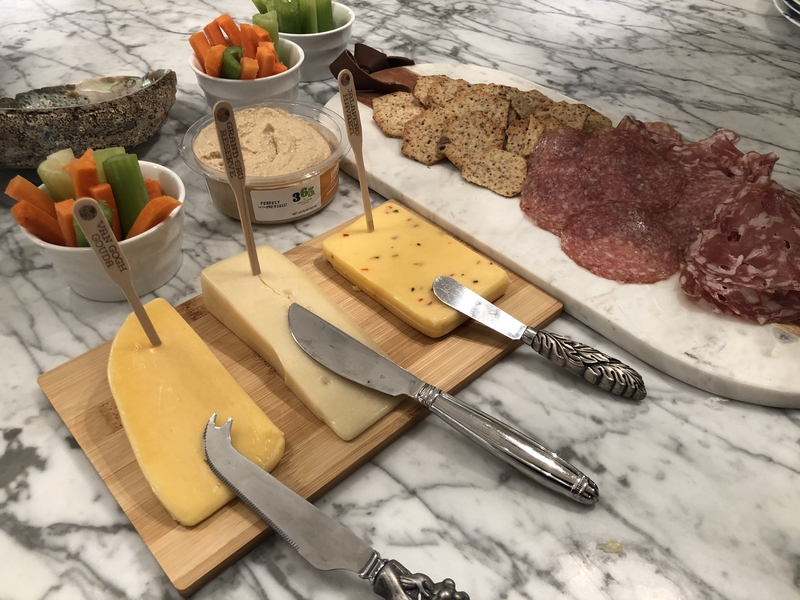 The pre-made cheese board was a huge hit, and I loved how it included a board and markers to indicate the types of cheese. All items sold at Whole Foods follow quality standards which means there are no artificial preservatives, colors, flavors, sweeteners, and hydrogenated fats. Back home, I headed to my local Whole Foods Market 365 in Concord to shop for the week leading into Thanksgiving and put together a few ideas to make meal-times streamlined and flexible for all the leftovers to come. I love my local 365 store, as it's a bright and beautiful with a huge selection of grab n' go items, prepared foods bar, in-house taqueria, and more. 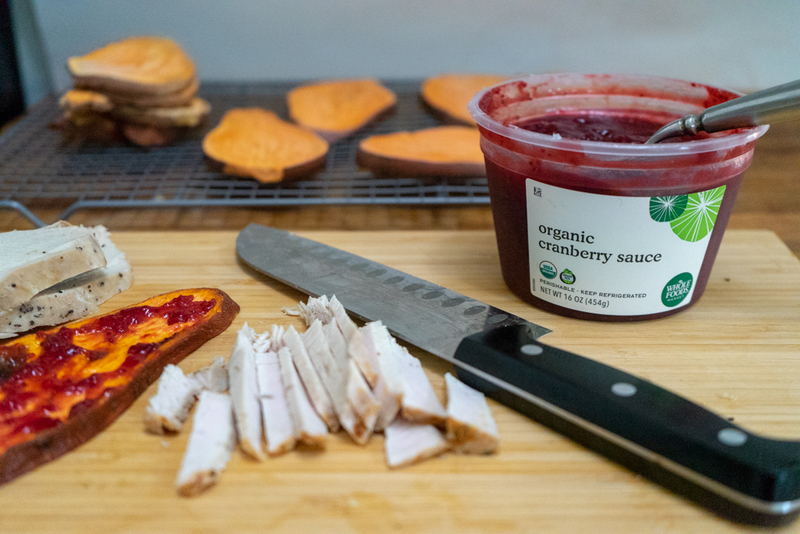 I decided to create my own take on turkey dinner leftovers using sweet potato toast as a base and traditional toppings like turkey and cranberry sauce as toppings. I am a huge fan of turkey, but the idea of cooking an entire bird for myself was a little intimidating. Fortunately, the hot bar at Whole Foods Market 365 stocks juicy turkey and all the fixins like stuffing, mashed potatoes, and gravy. I picked up several sweet potatoes, pre-pack sides including organic cranberry sauce, garlic parsley green beans, and plenty of staples for simple dinners throughout the week. Place on baking sheet or rack. Cook for 20-30 minutes, until just soft. You may need to adjust for your own taste and depending on if you will eat them all immediately or toast and reheat later. 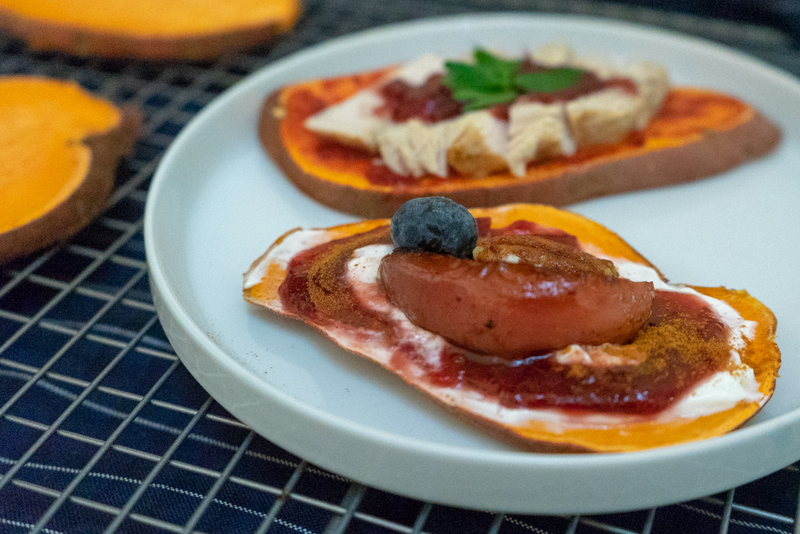 Sweet Potato toasts can be refrigerated and stored in an airtight container for 3-4 days and reheated in a toaster like a traditional slice of bread! 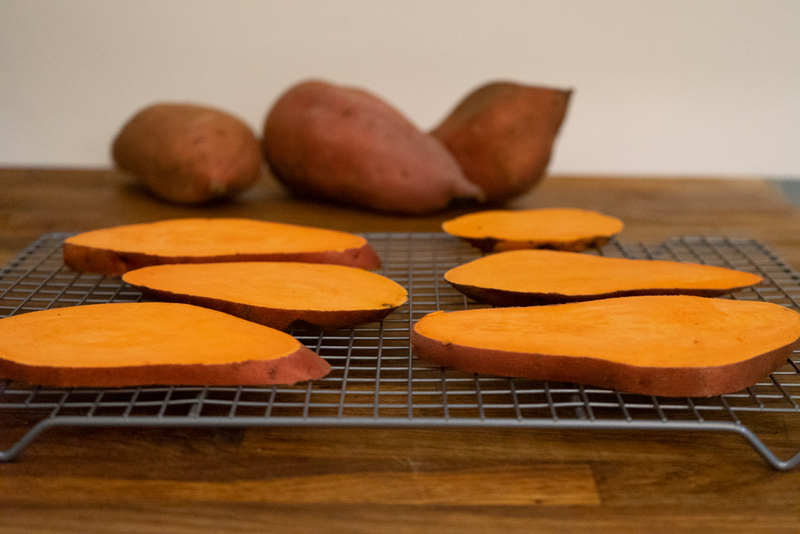 I am looking forward to making more sweet potato toast with Thanksgiving dinner leftovers. The turkey with cranberry was a delicious combo and I think it will be next-level with the addition of mashed potatoes, stuffing, and gravy on Black Friday. This is one of my tried and true recipes. I've made this with pears and peaches, though I think it's next-level with Honeycrisp apples If you aren't already a fan, you soon will be. In my opinion, Honeycrisp is THE most delicious apple variety, sweet like honey with a crisp bite. 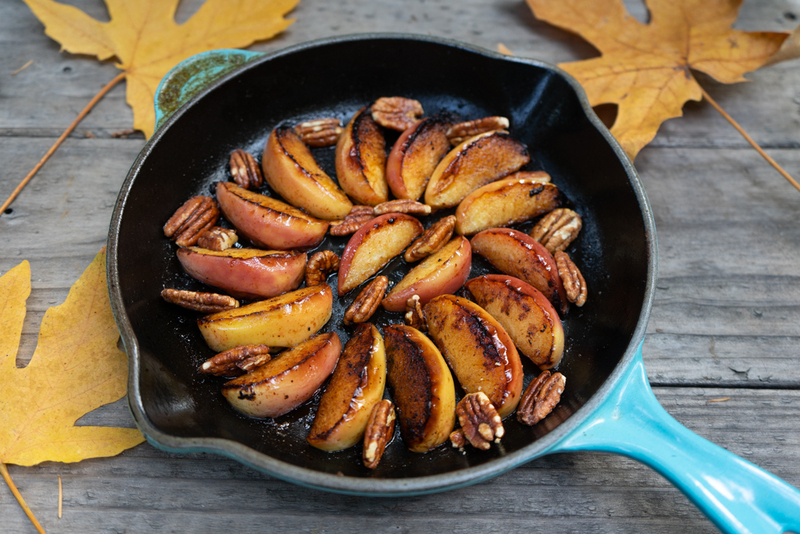 This is also an excellent way to use fruit that doesn't ripen as cooking naturally softens and sweetens. During the week leading up to Thanksgiving, I'm often short on time so I stocked up on a few Whole Foods 365 Grab n' Go Soup Kits to batch cook so I can easily reheat a bowl for lunch or dinner. Want to see my entire cart haul and a tour of my local store? Follow me on Instagram and watch the 365 stories on my feed!